Bossier City is located on the east side of Red River from Shreveport in the Northwest corner of Louisiana. Bossier City (French for villa de Bossier) had its beginnings in the 1840's, starting as a small trading post known as Cane's Landing. The site was incorporated in 1907 and renamed Bossier City. It was originally a cotton exporting river landing, then a railroad town, then an air base and oil boom town and now it is known for its tourism and recreational gaming. There are three riverboats located on the east side of the Red River in Bossier City. There are two located on the west side of the river in Shreveport. Bossier built a 55,000 square foot retail and entertainment center on their side of the river which is anchored by Bass Pro Shops and is known as " The Boardwalk" Bossier also built the Century Tel Arena which is home to many entertainment venues such as concerts, hockey games, monster trucks and rodeos. Louisiana Downs is a first class horse racing facility that opened in 1974. It is now Harrah's Louisiana Downs and offers horse racing and slot machines. 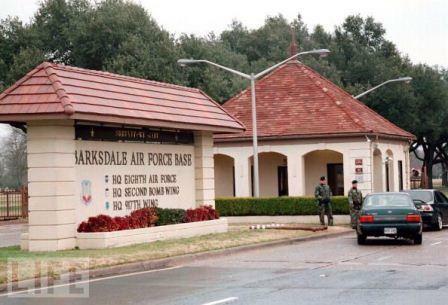 The town became the home of Barksdale Air Force Base in 1933. Headquartered here is the 8th Air Force, the 2nd Bomb Wing and the 917 Wing. The primary plane housed here is the Boeing B52 Stratofortress. Barksdale encompasses 22,000 acres of land and the Barksdale Air Show draws thousands of people each year. Many people refer to this area as the "twin cities" However, they are really different and offer different things. Bossier's population by itself is around 100,000. It encompasses 37 square miles and is located in Bossier Parish which encompasses 832 square miles. Shreveport and Bossier together serve as the trade and cultural center of the 200 mile radius extending into Arkansas, Louisiana and Texas known as the "Ark La Tex"
Bossier along with Shreveport is served by two major interstates. I 20 and I 49. Travel is fast and easy and there are many loops that allow for adequate traffic flow. Bossier's in city traffic is hampered by railroad crossings on all major streets but traffic flow around the area overall is good. Bossier Parish offers quality public schools for elementary, secondary and high school. 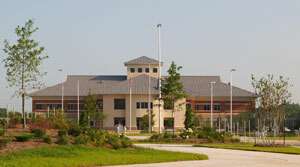 BPCC-Bossier Parish Community College was built in 2005 and sits on its new 55 million dollar campus. It is a four year associate degree college with approximately 3000 students. It was started as a pilot program in 1966 and now offers 25 degree programs as well as some certificate programs. It is accredited by the Commission on Colleges of the Southern Association of Colleges and Schools.